Posted April 30th, 2019 & filed under . Posted February 28th, 2019 & filed under . Posted November 8th, 2018 & filed under . Posted August 5th, 2018 & filed under . Posted July 27th, 2018 & filed under . Posted May 10th, 2018 & filed under . Posted March 22nd, 2018 & filed under . Posted March 16th, 2018 & filed under . Posted February 25th, 2018 & filed under . Posted February 24th, 2018 & filed under . Posted February 23rd, 2018 & filed under . Posted February 22nd, 2018 & filed under . Posted December 5th, 2017 & filed under Headlines. Posted November 5th, 2017 & filed under . 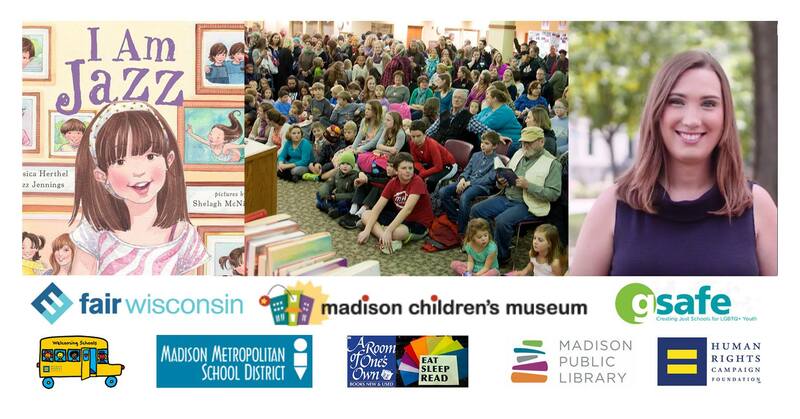 Type: Fundraiser This Event: May be of interest to the LGBTQ community Friends of the Madison Public Library will be hosting a charity book sale that will take place from November 2 – November 5 at the Central Library at 201 W Mifflin Street. The hours are as follows: Nov…. Posted November 4th, 2017 & filed under . Posted November 3rd, 2017 & filed under . Posted September 30th, 2017 & filed under . Posted September 21st, 2017 & filed under .